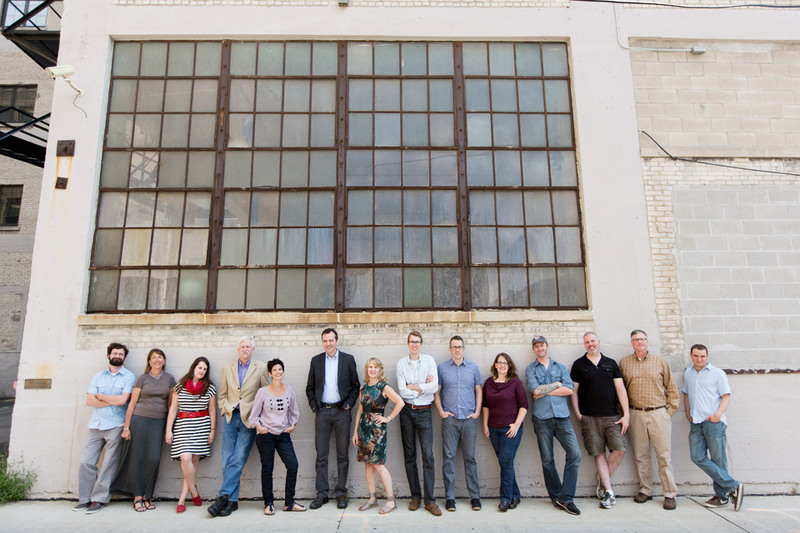 Independent booksellers often tell me “we can’t sell business books.” Yet there’s a beehive of business book activity in Milwaukee, an indie book operation that’s found a way to crack that nut. The business model is unique, but their success may have some lessons for retail booksellers in search of that holy grail- profitability. 800CEOREAD (or 8CR) began as a project of the Harry W Schwartz Bookshops, the joint brainchild of David Schwartz and Jack Covert in long ago 1982. But I’d trace the roots even further back. David’s bookstore, which he took over from his father in the late sixties, was a traditional general bookseller with a marked progressive cast. Political books and social criticism were featured prominently, and selling books that matter- what David famously referred to as “the social profit in bookselling”- was a matter of principle. Booksellers and customers were shocked one day in 1973 to find the store's gorgeous Wisconsin Avenue display windows filled with 500 copies of Robert Ringer’s Winning Through Intimidation. This was a path-breaking business book of its time for several reasons: it took a self-help approach which thousands of subsequent business books would later follow as a template; it was self-published after being rejected by establishment houses; and Ringer was an early prototype of the author as marketing machine. He personally masterminded a campaign for the book, store by store, that made it a phenomenal success. Our store was one of his early guinea pigs. David’s takeaway: we can sell business books! David scored a coup when he lured Jack Covert from his own business, Jack’s Record Rack on the east side of Milwaukee. Then as now, Jack was a man of big ideas and a healthy respect for the small steps needed to bring them to life. I was a Schwartz bookseller who had purchased many an LP from Jack at his record store. But I was afraid that the turn toward business books in the store would mean a turn away from selling the “real books.“ Plus, Jack worked like a maniac, making cold-calling trips to companies in northern Wisconsin with a trunk full of business books, and (I can admit this now) he made us feel like slackers. There was a distinct bias against the very idea of business books in those days. Sure, they might be profitable. But David had taught us to think of bookselling as more than commerce, and we did. To sell a book was not just a financial transaction; it was a cultural and often a political act, a kind of bond with the reader. Business in general was held in low esteem, and the Think and Grow Rich crowd, a vast audience, was not much better. What could it mean for our beloved store to have someone cultivating this audience full-time? But success was irrefutable, and by fits and starts Jack’s business book operation gained traction. How different the bookselling landscape looks today. The Schwartz Bookshops have been gone for a decade. One aspect of David’s legacy, the vibrant neighborhood bookstore with deep community roots, lives on in Daniel Goldin’s amazing Boswell Book Company; and from another direction, David’s long ago, prescient vision that it’s possible to be successful at business books without sacrificing the social profit is unfolding at 8CR, now over thirty years old. With so many book retailers struggling to gain a foothold, what is this company’s secret? And are there any lessons for other booksellers? 1. While the focus on business books as a category is obvious, they are ecumenical about what counts as a business book. It seems to be any book that a business person might find interesting or useful. 2. The business book category has gotten vastly more complex in recent years, thanks to Gladwell, Kahneman, et al. If Napoleon Hill still comes to mind when you think business book, your profile needs updating. Among the book categories 8CR features are General Books, Leadership, Management, Marketing & Sales, Entrepreneurship & Small Business, Personal Development, Innovation & Creativity and Finance & Economics. And blog tags include such subjects as Communication, Safety and Health, Current Events, History and Fables. 3. The fox knows many things, the hedgehog knows one big thing. These are usually considered either/or approaches, and on the surface it would seem that this is the quintessential hedgehog company. 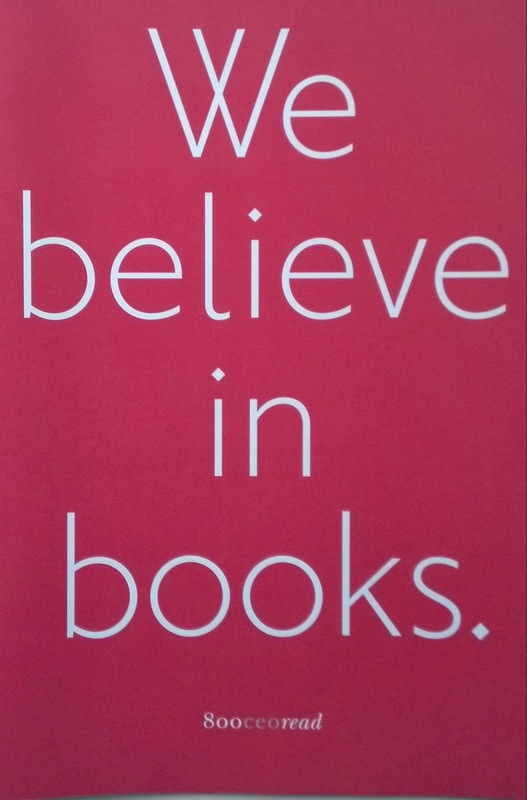 But with the head-spinning array of original content and book advice, they’ve turned the saying on its head. They work hard to bring fox-like scope into the more focused definition of the traditional business book and its reader. I suspect this is an added value much appreciated by customers. 4. The 8CR team pays attention to the product they are selling, and applys lessons from the smarter business books to their own company. It’s not just a question of mastering jargon; they’ve grown, changed, and transformed their own business model over the years, and their book recommendations surely carry added weight because of it. Perhaps an analogy would be the Cookbook retailer who actually cooks using the recipes in the books he or she sells. Cooking (and eating) the meal yields a keener knowledge than simply reading the recipes. 5. Staff are encouraged to bring their real selves to work. You won’t hear a fake note in phone or socially mediated interactions with personnel here. 6. And speaking of the phone, another confession: when Jack first announced the name of the new business book operation, I thought it was ridiculous. Who names a forward-looking business after a phone number? Any idiot could see that computers were coming and we’d be stuck with this old technology handle. Shows what I know. In 2014, it seems like a bit of forward-looking genius. Have you tried finding a phone number on the web site of a company that doesn’t want to be bothered by talking with you? It’s the norm. By contrast, here’s a company whose name is its number! It all but begs you to interact. 7. David Schwartz embraced contradictions. He wasn’t afraid of them because- sorry business readers, a little marxism- he thought they were intrinsic under capitalism and impossible to escape. It’s not immediately apparent that a company selling business books would have to pay a living wage with decent benefits, would have an idea of social responsibility, or would allow people to dress comfortably and post their playlists on company time. The goal is to make a profit by selling a product. But this is a contradiction Jack and manager John Mueller have embraced. Authenticity might not be an easily quantifiable metric but in this age of fakery it goes straight to the bottom line. 8. Good bookselling is personal. I often notice the difference between booksellers who imagine a category of customers when I present a new book, versus the ones who think of specific people. It’s the difference between “Military History does well for us” and “I know two people right off the bat for that one.” 8CR excels at the latter, and have taken the endlessly repeated “know your customer” mantra to heart. At the simplest and most productive level, it really does mean knowing your customer. 9. For all the talented bookselling at work here, the heightened social status of business and entrepreneurship vis-à-vis 1982 also play a role in creating a favorable environment. As a teenager I wouldn’t have been caught dead wearing a brand name label. I’d cut them out if they were visible. Be a walking billboard for a corporate logo? No thanks. But brands are now worshipped. Indeed, teenagers worry about tending to their “personal brand,” a thought that almost makes me cry. In the eighties, we aimed our bookselling firepower at intellectuals, social activists, and Humanities majors who were most apt to change the world. Today, the dotcom tech companies are home to the new hip revolutionaries, and entrepreneurs with the latest killer apps are the new creative class. 8CR gets this. 10. Finally, every successful book operation needs a Jack. This company owes its success to Jack’s imagination, hard work, and willingness to press on with an idea he believed in. Like David Schwartz, he’s not afraid of contradiction. And like David, he’ll leave behind an incredible accomplishment in his wake when he retires this year- a smart, idiosyncratic, profitable, holistic and sustainable book company. I'm a rep for Harvard University Press, The MIT Press, and Yale University Press. Reach me by email at jeklundrep@gmail.com. Paper over board is my favorite book format.